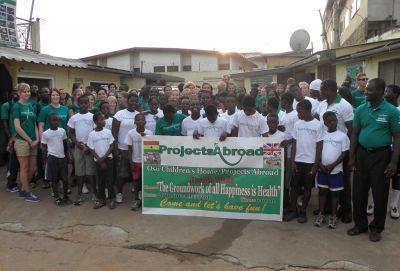 Projects Abroad volunteers in Ghana have helped to organize a health walk for the members of Osu Children’s Home in Accra. 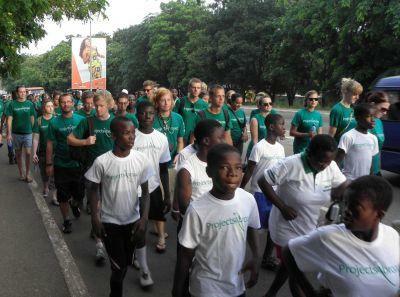 The walk was set up in order to raise awareness about the importance of exercising, with an aim to improve overall health and reduce hospital bills. Tom Davies, the Director of our projects in Ghana, explains, “We did a study and found out that people are complaining about medical bills but when extra exercise is put in, their health status improves and in turn reduces health care costs.” This walk is a positive symbol of things to come and our volunteers have set up a keep fit club at the orphanage so that the children can take part in regular exercise.